That is a line from one of my favorite movies, Groundhog Day, starring Bill Murray. 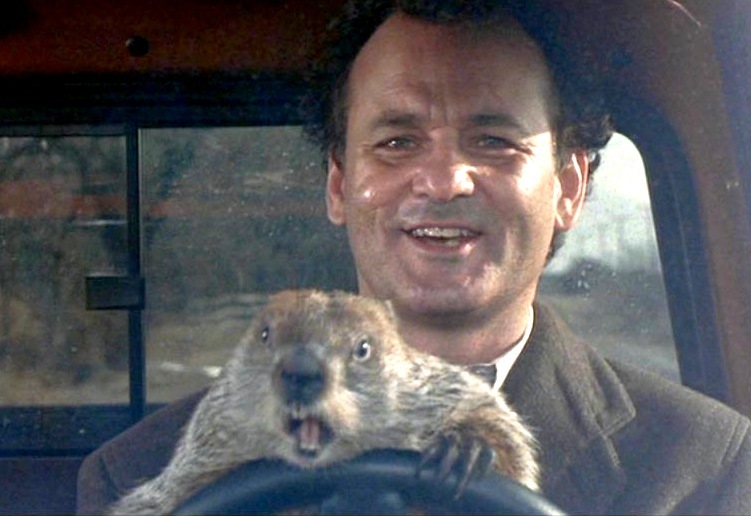 In the movie, Bill Murray’s character is forced to relive the same cold winter day, Groundhog Day, over and over again. He felt trapped. He felt like it was never going to end. It led him to despair. Sometimes in our lives it feels like winter is never going to end. The non-stop arguing with your husband, the other kids at school making fun of you, the pain of sickness or the worry of debt – when we have problems in our lives, it feels like we are stuck in a snowdrift, spinning our tires. It feels like it will never end. Two thousand years ago, a group of Christian churches was having problems. They were being persecuted for their faith. They were being ridiculed, beaten up and even thrown into prison. They were in the middle of a dark, cold winter which seemed like it would never end. Just look back on your life. God has gotten you through every pain and problem and hardship so far. How will he not also get your through this one? This winter is going to end – but it may be a while. Your pains or problems may last for months or even years, but God will eventually get you through. All our pains and problems one day will end – if not here on earth, then when you get to heaven. Remember, we are going through these trials on our way to heaven. And you can be sure of that because Jesus, your Savior, came and suffered the winter of God’s discontent in your place. For all your doubts and worry, for all your complaining about your lot in life, for all your failings and sins, Jesus died. You will never have to suffer the endless hardship of hell because Jesus suffered it in your place. You are forgiven. You are on your way to heaven. Along the way, however, you will have hardships. Yet God promises that his hardships serve a purpose. He promises they are for your good. He promises they will one day end. Today is Groundhog Day. Right now we don’t know if Punxsutawney Phil will see his shadow or not. We don’t know how much longer this winter will last, but be sure that it will end, just like every one of your pains and problems will one day end. God will get you through them on your way to heaven.